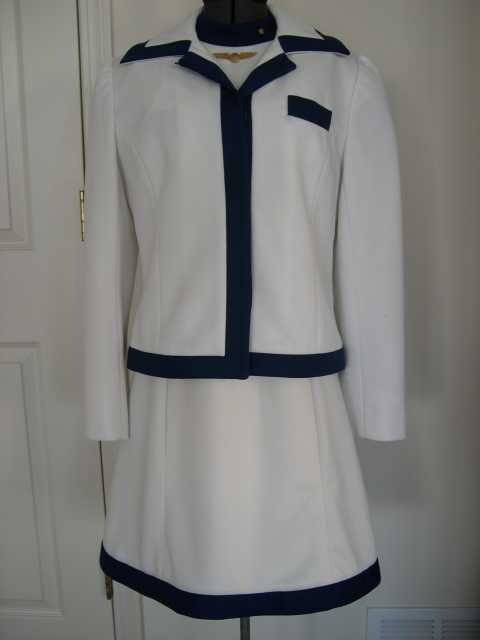 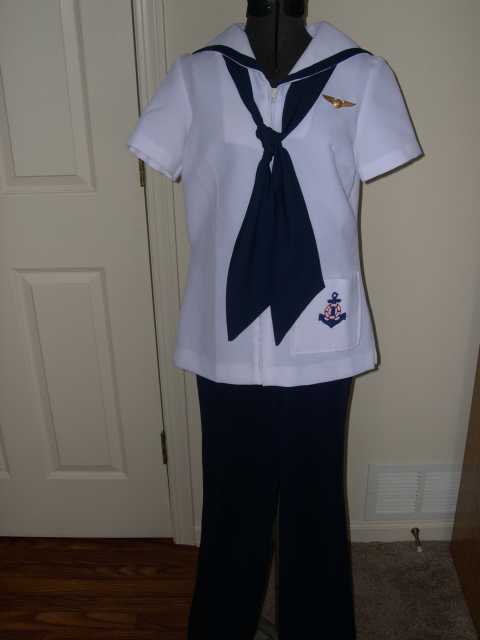 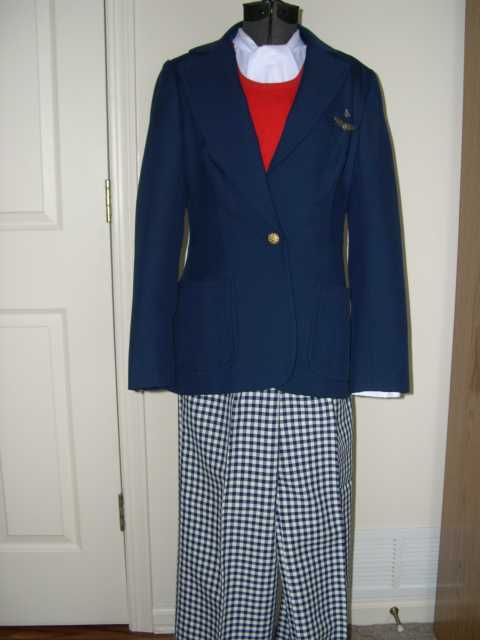 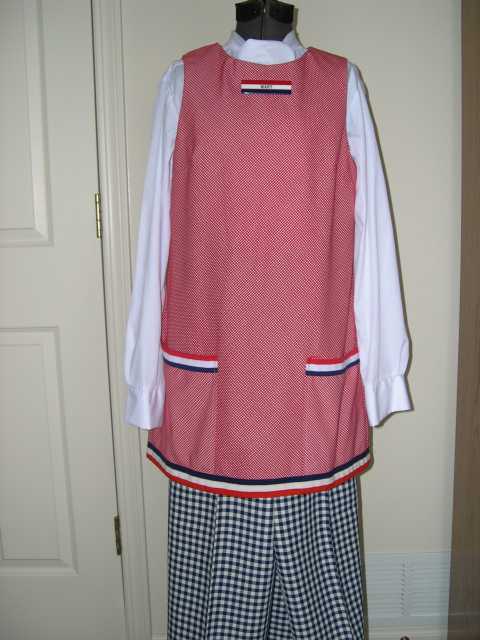 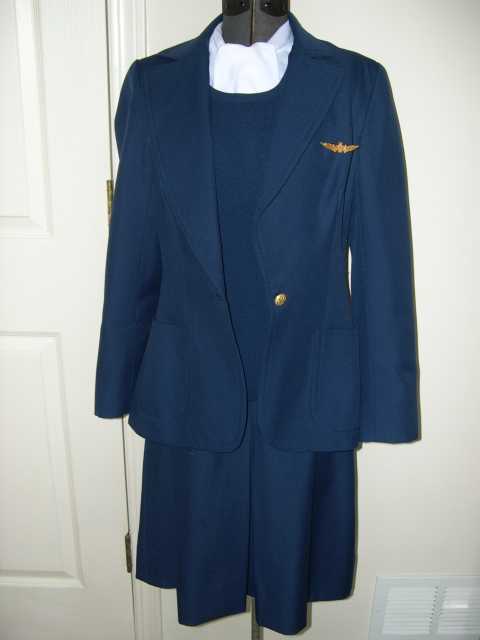 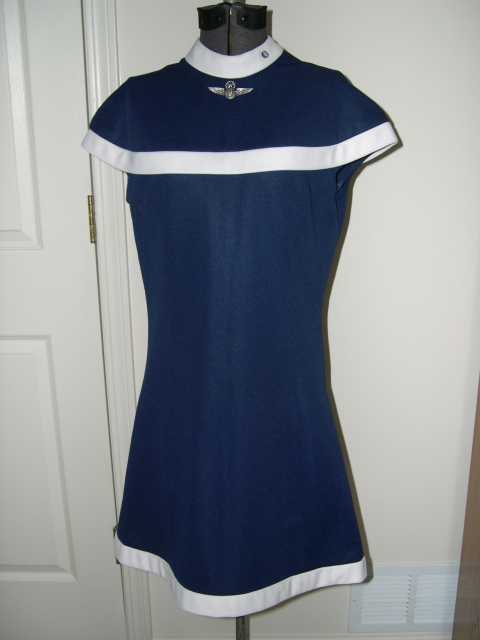 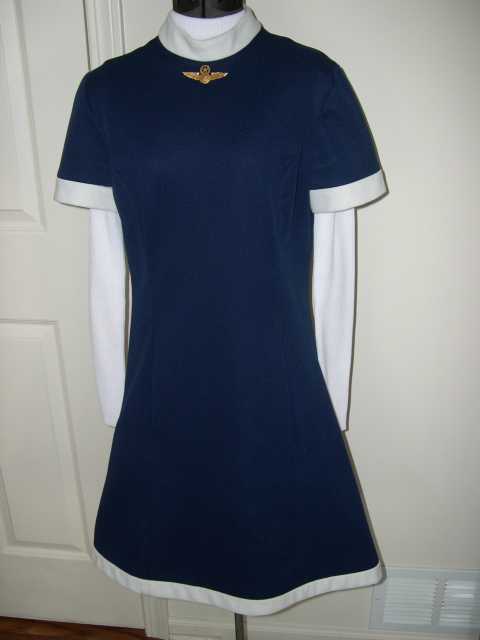 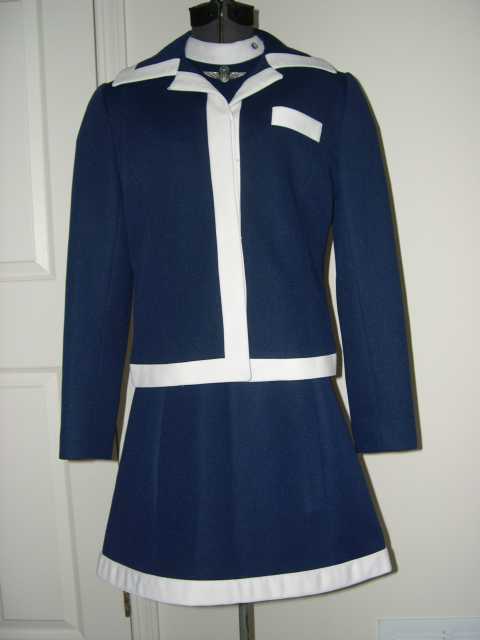 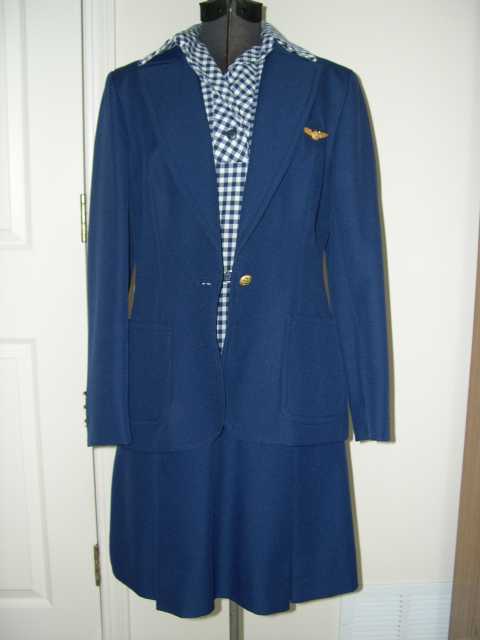 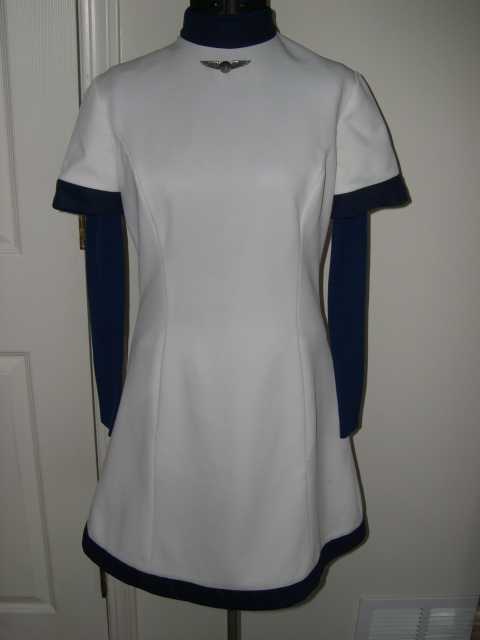 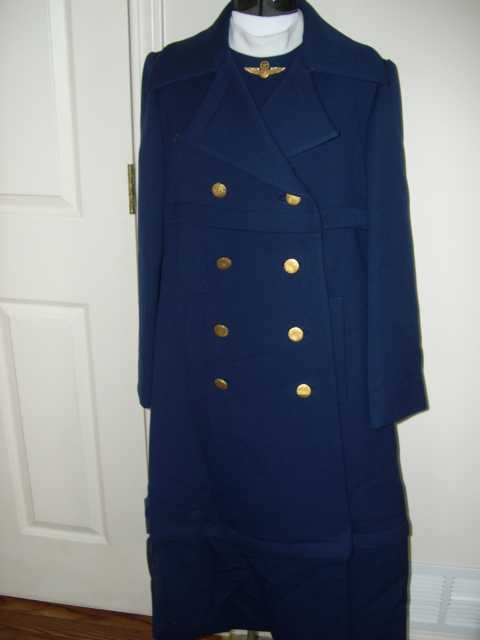 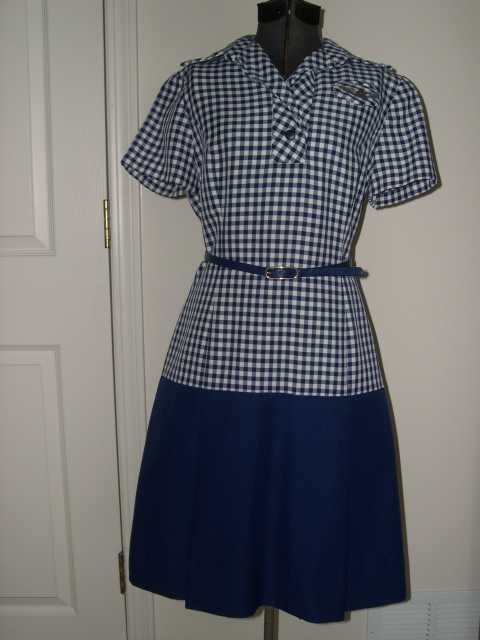 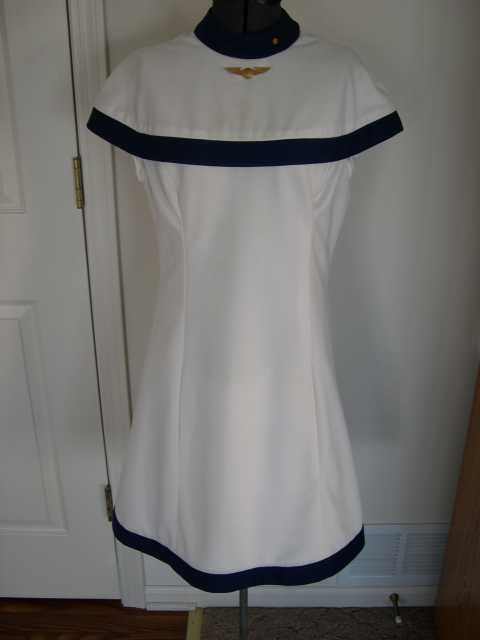 1974 alternate Bill Blass flight attendant uniform, displayed with navy skirt, white blouse with ascot and navy sweater seen here with 10k modern AA logo wings. 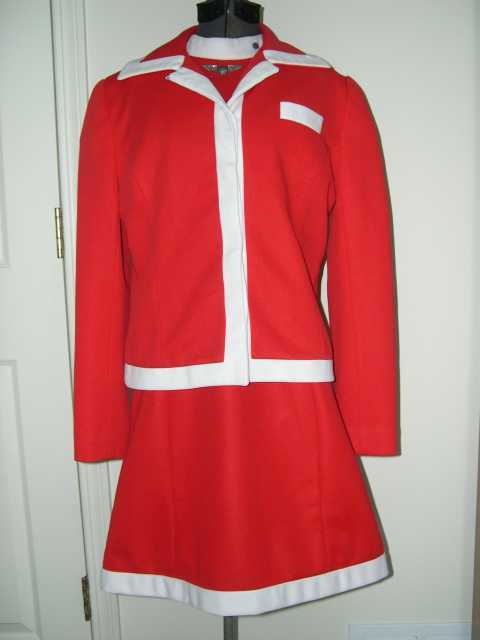 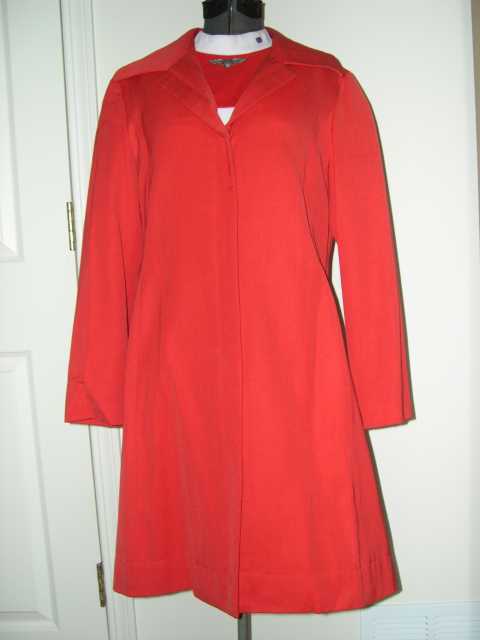 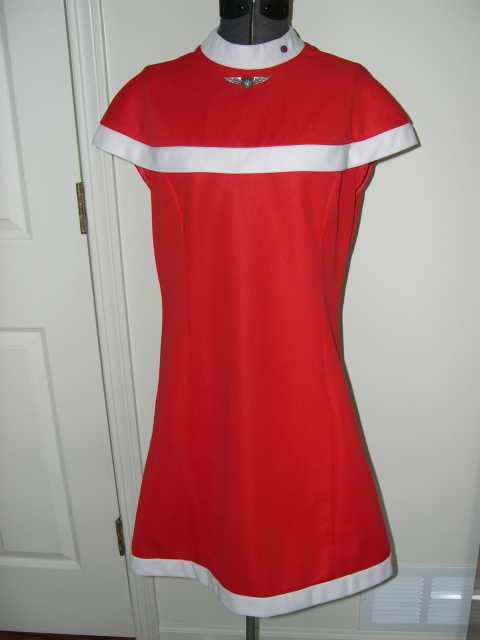 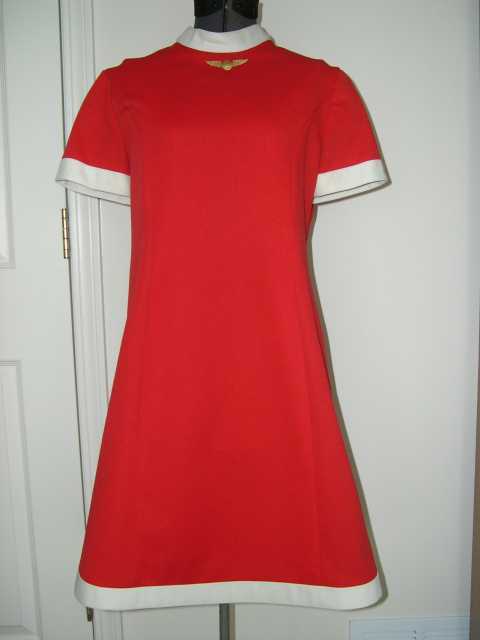 1974 original red Bill Blass serving garment, one of two colors with matching AA issued regulation nametag. 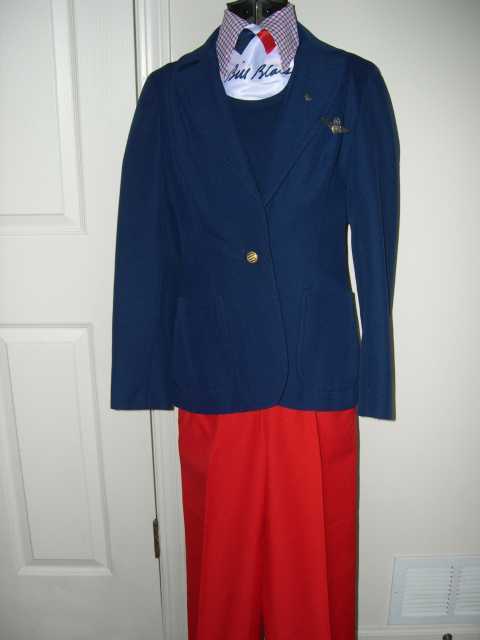 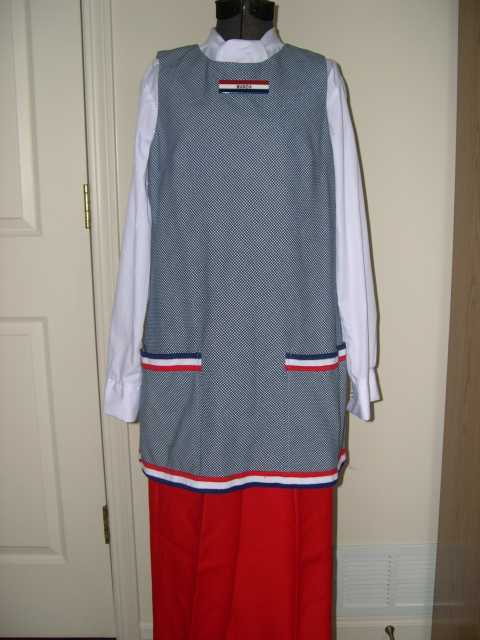 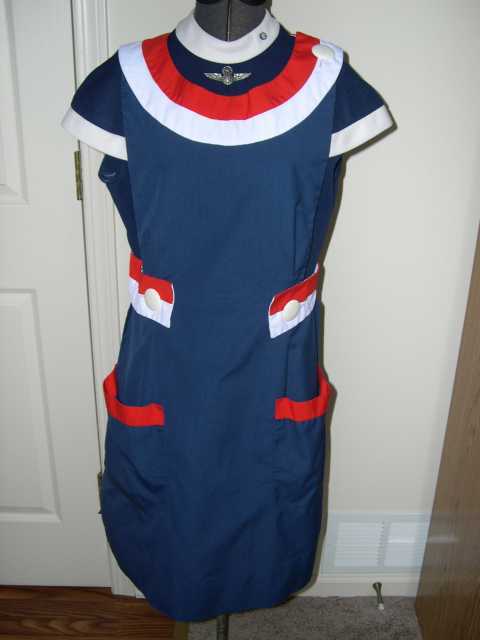 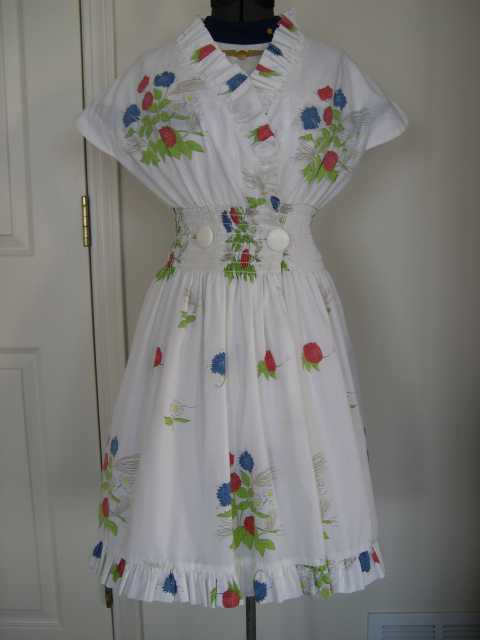 1974 alternate Bill Blass serving garment with red, white and blue plastic nametag.